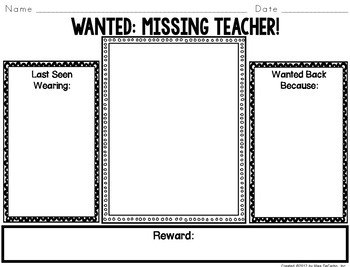 Included in this sub plan pack are over 15 activities to keep students engaged while you are away for the day. It includes a variety of reading, writing, word work, and math activities that are EASY to prepare. Pencils, crayons, and scissors are the only things your students need for these sub tub plans. needed Three of the optional activities are connected to the read-aloud Miss Nelson Is Missing by James Marshall. 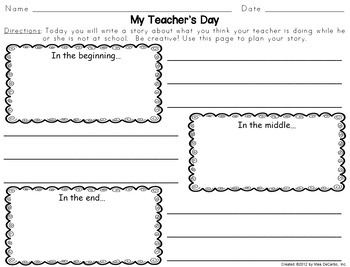 This is a great pack to prepare at the beginning of the year so that you can have effective substitute plans and activities for emergency sub days. Your sub will love the easy-to-implement activities! Your students will love the creativity! You will love the "just-print" pages! Page 5: All About Me! A Poster for My Substitute! 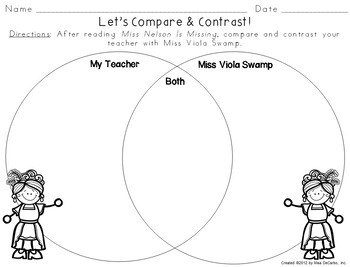 Make lesson planning for a sub easy and fun! This would be a great way to plan for an "emergency" sub day by having the materials printed and ready to go for your sub. Great for first through third-grade students and all intervention and/or at-risk learners.